The holiday season is a time to enjoy friends, family, and loved ones. Often we consider our life circumstances and may get in the spirit of giving. This is particularly true if you are at a point in your life were you have enough from a financial standpoint. If you are planning on giving money as a gift this holiday season, below are five things to consider. You Want to Create a Foundation or Give to Charity: You do not have to be Bill Gates or Warren Buffet to be charitable. Through a donor-advised fund (DAF), which are like charitable savings account, you can benefit from an immediate tax deduction for any cash or investments placed in the fund. Of note, any money sitting in a DAF must be donated to charity but any money sitting in the fund can be invested tax free. Notably, changes in tax law make charitable giving different from a tax perspective than prior years. 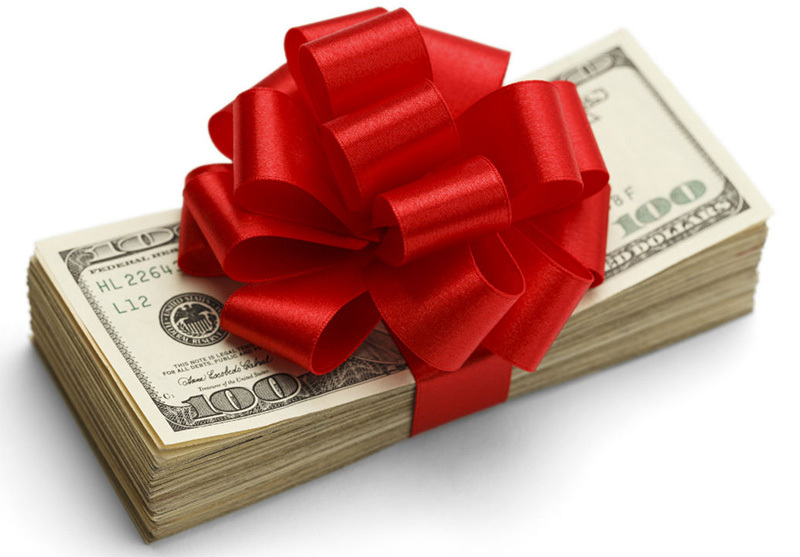 If you want to get a deduction or want to use your IRA to make the gift and you are over 70 ½, you should seek guidance. Your Car or Boat is Not Being Used: One option is to gift the property, making sure title is officially transfer and filing a gift tax return if the fair market value is above a certain amount. If you instead are passing along the old car or boat worth more than $15,000 to a family member, make sure to let your tax preparer know so they can file any necessary gift tax returns. (You probably won’t owe any gift tax, but filing the return is a way to protect yourself from the IRS.) Alternatively, the property may be donated to a charity to receive a possible tax benefit. What the charity does with the property – in other words, uses it for the organization or sells it at a low price – can affect your tax benefit and how much the charity ultimately gets. The Next Generation & the Vacation Home: First, make sure to ask whether or not your loved one wants the home. You may be surprised that they do not and, in that case, sell the property. If they do, however, make sure to work out issues in advance that may arise from the transfer of property. One way to minimize issues is to transfer title to an LLC and give LLC ownership to the children, spelling out each member’s rights and responsibilities regarding the property. You should also address what happens if someone wants to sell his or her portion and exclude spouses from the universe of eligible owners in the even of a divorce. These can be complex transactions, even for seemingly simple circumstances, so always speak with an attorney before transferring property into or out of an LLC. Your Kids Have Different Needs: Sometimes fair does not mean equal. This is particularly true if your children have different levels of need due to a disability, younger age, or better financial stability. For some children, it may be necessary or advantageous to gift a portion of his or her inheritance prior to your death because of immediate need. Whatever your reasons, the division of your estate is up to you. While you cannot prevent dissatisfaction among your children once you are gone, you can try to minimize these issues. One way is to leave a letter behind explaining your motivations and adding a no-contest clause in the will.